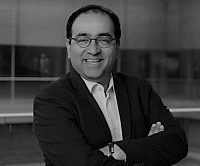 Omid Nouripour is a member of the Alliance ’90/The Greens, and since 2006 a member of the Bundestag. He took the vacated seat of former German foreign minister Joschka Fischer. Since 2013 he has been foreign policy spokesman for his party.